0% Late Reports in 2018 - See for Yourself! 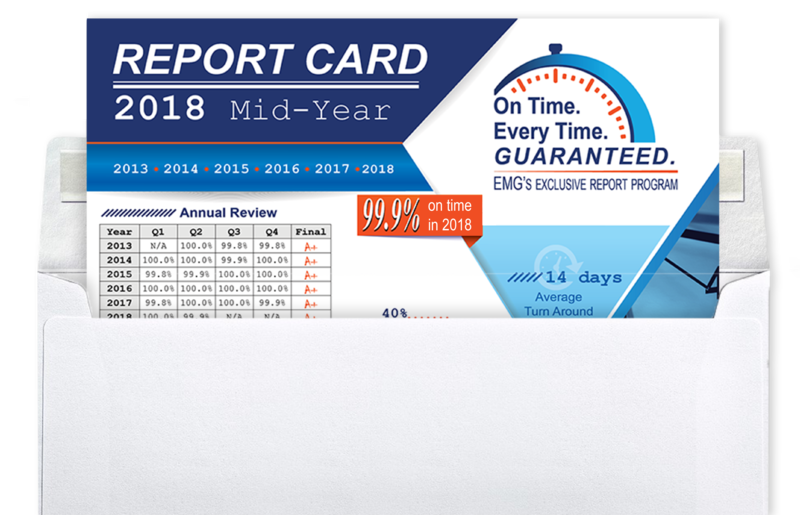 EMG is the only commercial real estate due diligence provider that ensures report delivery that exceeds our clients’ expectations. We provide complete satisfaction with the timeliness of your reports – guaranteed! Don’t believe us? See for yourself, with our 2018 Mid-Year report card. 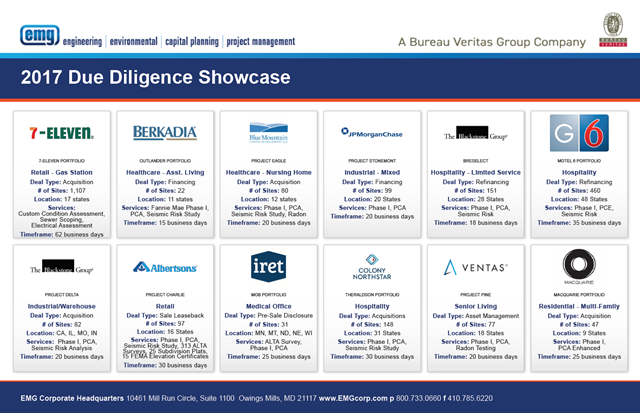 EMG is pleased to share some of our real estate due diligence transaction highlights from 2017. These successful deals were all delivered on time , and with EMG's trademark accuracy and consistency. We thank you for entrusting your deals to the professionals at EMG.